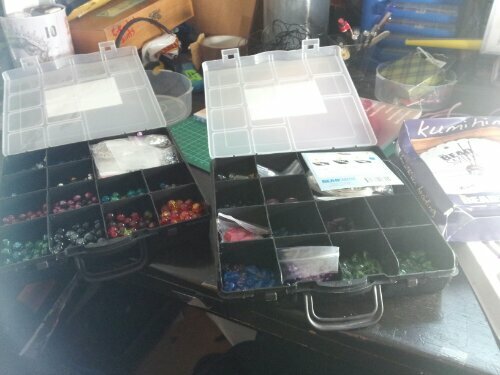 So recently I bought a couple of lovely sterling silver pendants, with the plan to make necklaces from them using a combination of glass beads and stone chips. The first is a pair of dolphins for a friend, the other a fairy for myself. The choice of sterling silver over my usual silver plated was due to allergies of my friend. I was going to make some earrings to match, but she can only tolerate gold jewellery in her ears and I feel it’d just not work right with the rest silver (that and the cost premium; personality I don’t like gold, not really sure why just isn’t me! Not that that had a bearing on this work idea). In the photo below you can see a kind of mock up of the idea, with two different ideas and a third row with another alternative thought. 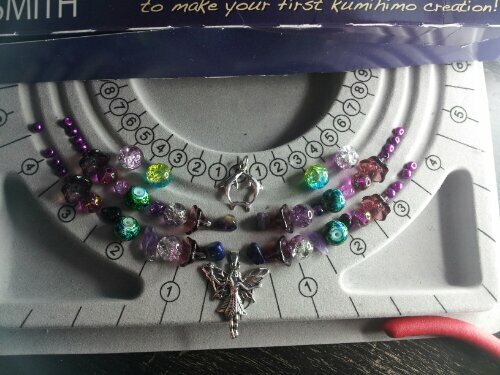 The plan is to use black and purple cord to avoid needing to use findings and adding decorative knots too. I might even add braided details as I’ve just gotten a kumihimo set to give that a go after being inspired by a recent magazine article I read. 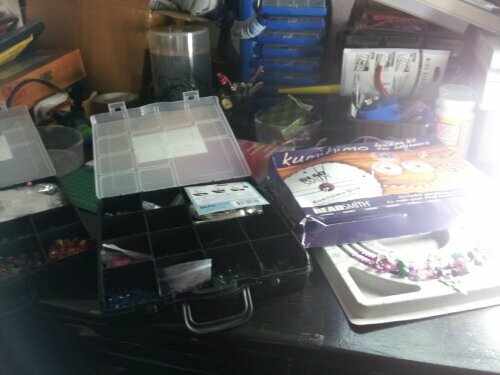 I’ve also made some progress tidying my work area and sorting my beads. 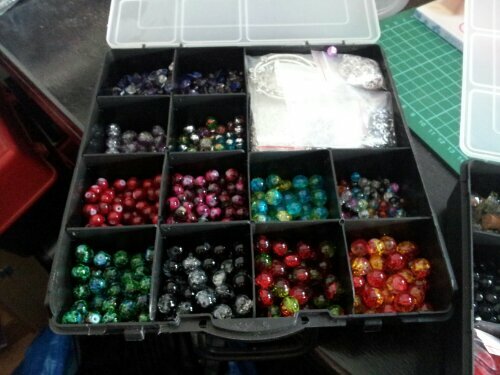 Still loads more to sort!